The 31-year-old knows all about winning the competition and wants to do so again. It may not be the competition that Chelsea players dreamed of winning when they signed for the Blues, but the Europa League is now their best chance of winning a major honour this year and could be a better way to earn a place in next years Champions League. As too would it be Maurizio Sarri’s first major honour of his otherwise impressive career. David Luiz, in particular, has spoken about the importance of the competition and what must be done to win it. Chelsea will face Slavia Prague in the quarter-final of the competition who are currently nine points clear at the top of the Czech Republic First League. Under the new rules of the tournament, Chelsea know their route to the final. If they can see off the Czech champions, Sarri’s side will play the winner of Benfica or Eintracht Frankfurt. There is no doubt that the draw has been kind to them- avoiding the likes of Arsenal Villareal, Valencia and Napoli until the final. It has been a walk in the park for Luiz and his teammates so far; Chelsea are unbeaten in the competition and won nine of their 10 matches. Olivier Giroud is the competitions top scorer, netting nine of Chelsea’s 25 goals. Luiz, though, has urged his teammates to stay focused on the competition. The Brazilian centre-back knows what he is talking about too; he was part of Chelsea’s Champions League and Europa League wins against Bayern Munich in 2012 and Benfica in 2015 respectively. On Chelsea’s challenge for the competition, he said: "To understand we have to be ready for every single moment. Bad moments can arrive, emotional moments can arrive, hard moments can arrive, and we have to be ready for that. To win a tournament is not just flowers." The two-time Chelsea player has had a long illustrious career but welcomes the new challenges football constantly brings. 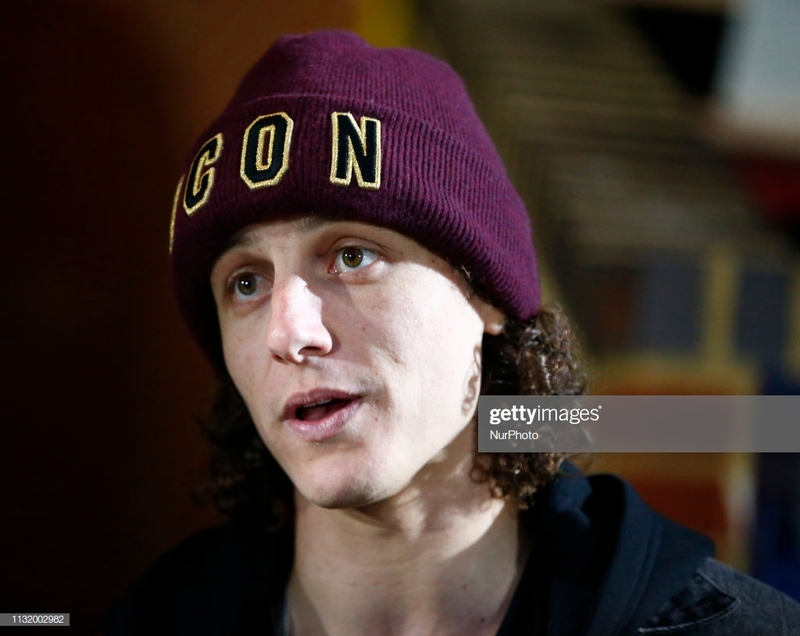 "I have learned a lot in my career, and football is nice because there is always something new, and you also have to be ready for that,” concluded Luiz speaking to Chelsea’s official site.